Our theme at Photohunters this week is WHAT IS THAT? 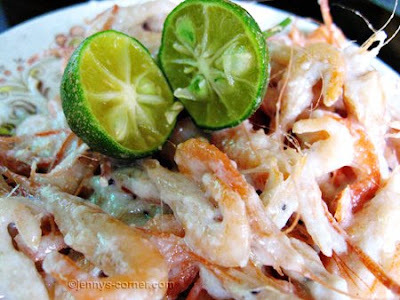 So here is my entry, this is one of my favorite,shrimp cooked with coconut milk (kakang gata) - which is the juice you get out from shredded coconut. *just simmer(don't stir) in low heat the coconut milk until oil comes out of it. YUMMY yummy! Does that make you hungry ??? hehe I have another entry at MY OTHER BLOG that is known to Pinoys.